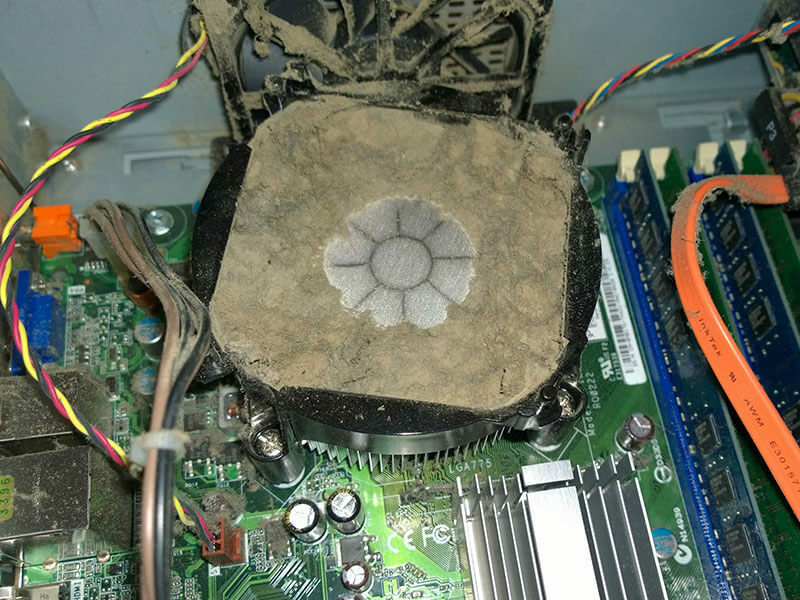 Many average users think computers do not require any maintenance in the physical world, but they do. In reality, it only requires a small amount of maintenance and just common sense. 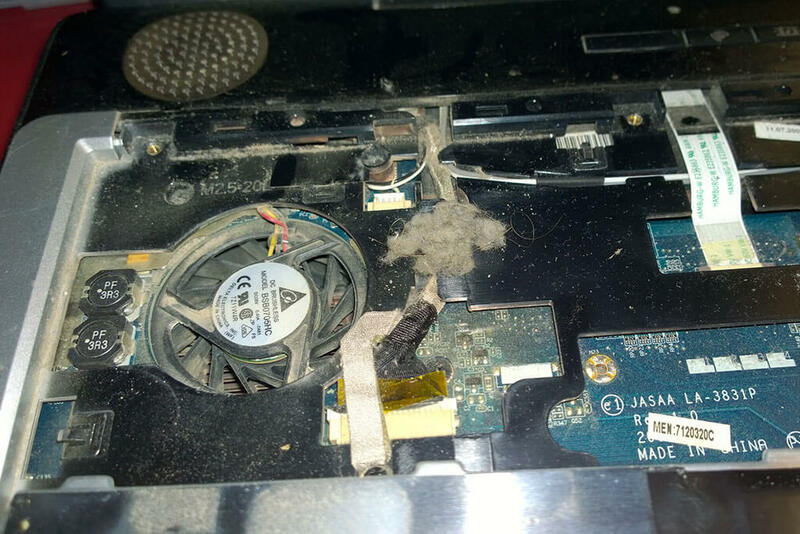 Below is a photo of a laptop I recently looked at, notice the large dust/lint ball that was lodged between the fan and the vents. The number one enemy of computers is heat. The parts are designed to withstand only so much heat. At high heat, the parts can only last half of what they could at regular temperatures, if you’re lucky. Use a vacuum to get rid of all the dust in corners of the case and use a narrower attachment to vacuum the heatsink (CPU fan). Be very careful not to break any components while vacuuming and try not to touch any component with your hands due to ESD (Electro Static Discharge) that can render components useless in an instant. After thorough vacuuming, use compressed air to blow out any hard stuck-on dust on hard to reach places like small crevices and slots. Make sure fans and vents are clear of any obstructions and that the fans are working properly, as some tend to fail abruptly, while most fans last the lifetime of the computer. 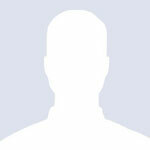 Use an air compressor or a can of compressed air, to blow built up dust out of any intake or outtake vents. Be sure to blow out the power supply vents as dust builds up in there more easily because power supply fans are usually more quiet and spin slower than case/chassis fans. Converting electricity generates a lot of heat so having a thick layer of dust insulating heat is bad news. I once worked on a system that was showing signs of a bad power supply and it wouldn’t show anything on screen. After opening it up, i was horrified to see copious amounts of dust everywhere – inside the heat sink, fans, power supply, etc. A clogged heat sink is a major issue, it wicks heat away from the processor. If your processor is overheating, you will usually experience very slow speeds or random restarts and will require some cool down time before it will work again. You can also fry the cpu processor, which is a costly replacement and it can be hard to track down a compatible processor if your system is really old.